What’s the real story? 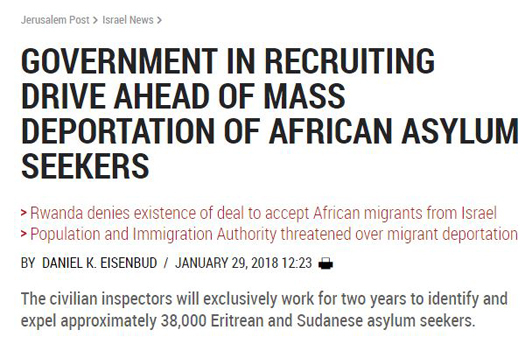 As Haaretz‘s corrected headline (below) makes clear, as does the accompanying article, Israel’s Population and Immigration Authority launched a recruitment drive to attract new inspectors, offering bonuses of up to $9000. 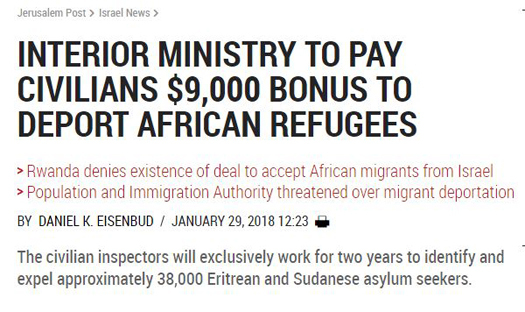 In the wake of CAMERA’s tweet noting the Haaretz correction, Twitter user WhiggedOut flagged the same error in a Jerusalem Post headline today (“Interior Ministry to Pay Civilians $9,000 Bonus to Deport African Refugees“). 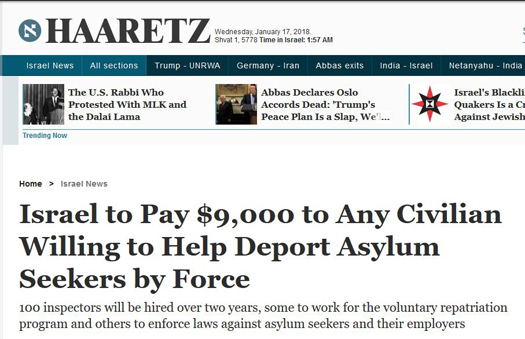 Contrary to common journalistic practice, The Jerusalem Post did not append a correction alerting readers to the change. 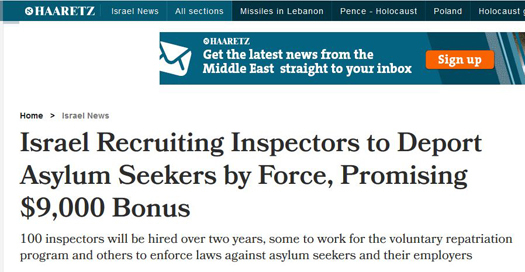 Updated headline: Clarifies the civilian inspectors being paid a bonus of $9,000 are not ordinary civilians.